I generally love face masks, as it gives you that quick instant facial and pick me up feel when you have no time for professional skin help (which is pretty much me all of the time). I came across a beauty store on instagram called The Jamila, that stocks organic, holistic, vegan, natural luxurious brands and immediately started following as I am all for clean products and natural skincare. A short while later I visited a market to find The Jamila booth there and that’s where I got to see the products. I was about to pick up a few products which all turned out to be masks but then asked the owner for her recommendation of mask to test out. 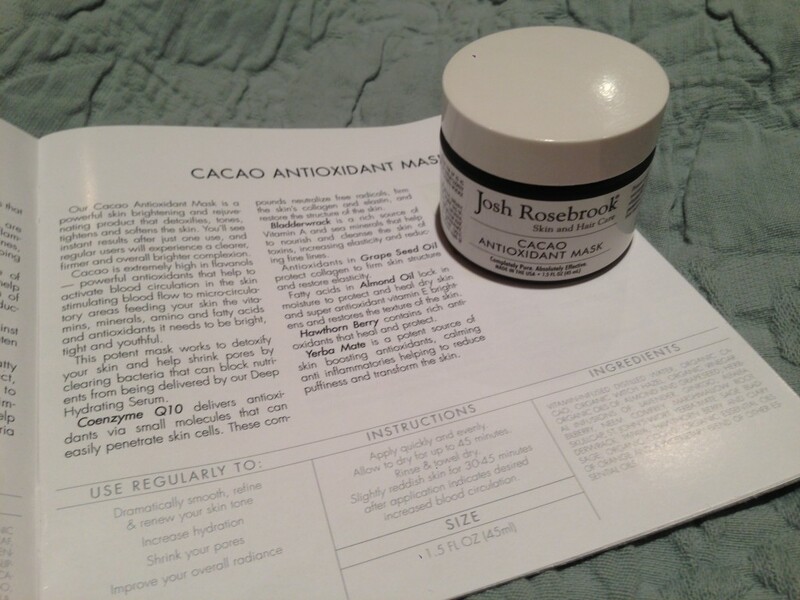 She immediately said the Cacao Antioxidant Mask! And that’s what I took home with me. Without exaggeration from the first time I tried the mask, immediately after washing my face, my face had a glow, seemed brighter and youthful. Youthful?? Yes! to my surprise my hubby even commented (shockingly as he never notices anything) and said your face is glowing like a baby’s face. Well whatever that meant I took it with great glee! Obviously with a cacao mask, you expect it to look like chocolate smothered all over your face. It actually smells of cacao and mint. 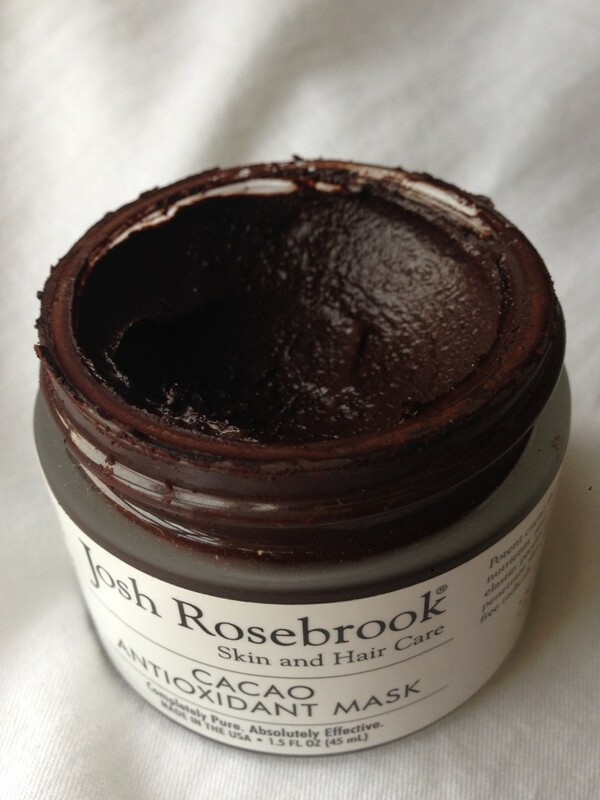 After the mask, you may notice your skin redden, that’s the effect of the cacao. Cacao is high in flavanols, a powerful antioxidant that stimulates and activates blood flow to the area, feeding your skin with vitamins, minerals, amino and fatty acids that creates that bright, tight and youthful glow. The mask has a whole bunch of amazing other stuff in it too like Coenzyme Q10 that restores the skin’s structure, Bladderwrack that increases elasticity and reduces lines, Grape Seed Oil has an antioxidant that protects the collagen, Almond Oil moisturizes and restores skin’s texture, Hawthorn Berry heals and protects and Yerba Mate reduces puffiness and transforms the skin. dramatically smooth, refine and renew skin tone, increase hydration, shrink pores, improve overall radiance. Apply quickly and evenly to the skin and let it dry up to 45 mins. Rinse and towel dry. Slightly reddish skin for 30-45mins ( I like to call that the ‘glow’) after application indicates desired increase of blood flow. It hasn’t been 3 weeks and I’ve already used the mask three times as I love how my skin reacts to it. Will I be repurchasing this product again? YESSS!!! The 45ml jar is priced at roughly BD35 (I’m terrible at remembering numbers) and can be purchased online at The Jamila. Which masks do you swear by? Have you tried this product before? drop me a comment below.. If you enjoyed this post, please subscribe at the top right and follow me on instagram @maradxb. Looks good enough to eat too!! Yum. I love the stuff from The Jamila. Thank you for introducing this to us.Surely i try this.